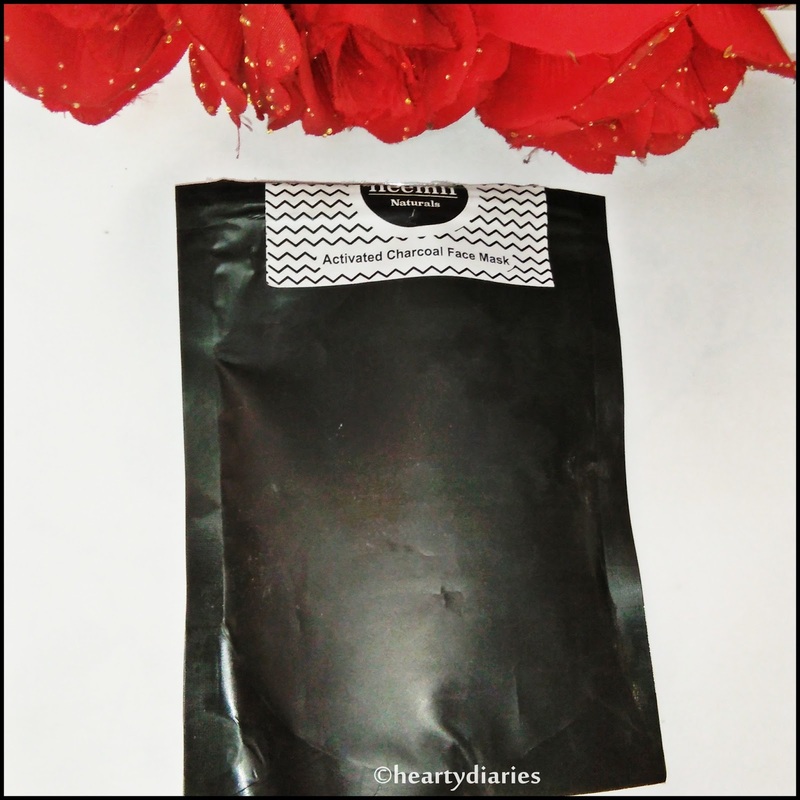 Few days ago, when I received my GlamEgo box for August, I was extremely happy to get Activated Charcoal Mask in it. I was planning to buy a Charcoal Mask from around a month and I was so glad that I found it in my box.. A beautiful skin is not very easy to maintain and takes a lot of time and effort. Even the smallest mistakes can lead to a huge acne war and terror.. 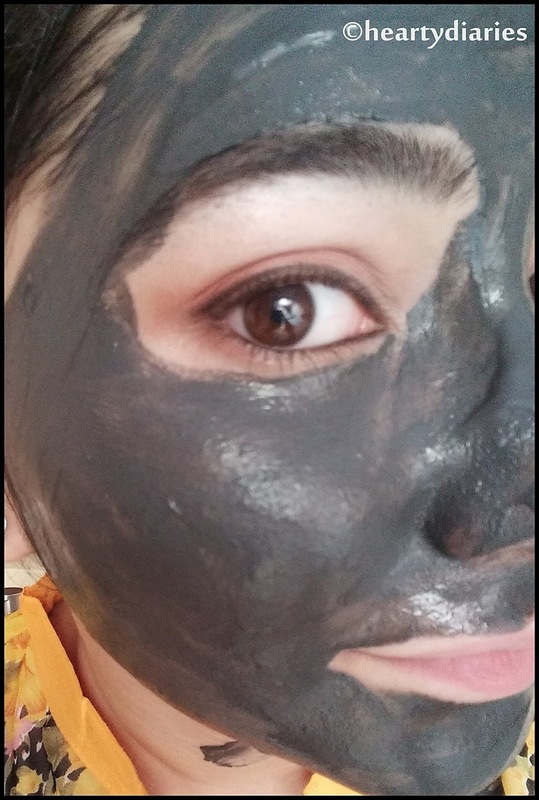 Activated charcoal draws bacteria, poisons, chemicals, dirt and other micro-particles to the surface of skin, helping us to achieve a flawless complexion and fight acne due to which I love it so much. * It also helps pull the dirt out of the facial pores, making them less visible.. 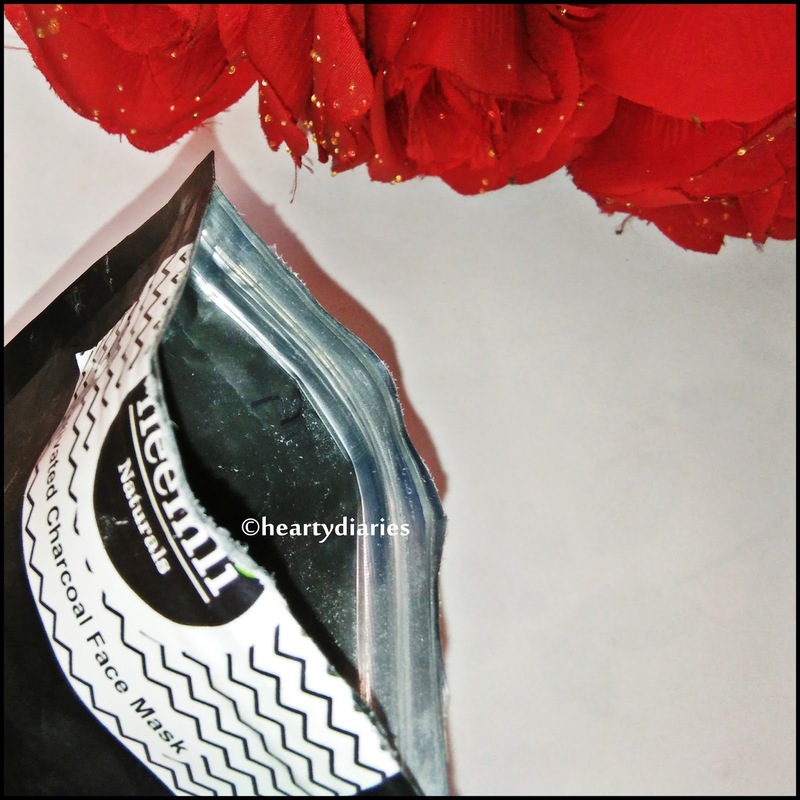 Activated charcoal has been traditionally used for a lot of purposes such as purifying water, cleaning teeth and making the skin bright and clear.. I was so excited to slather my face with this dirt because I am a skin care enthusiast and face masks draw my attention the most. 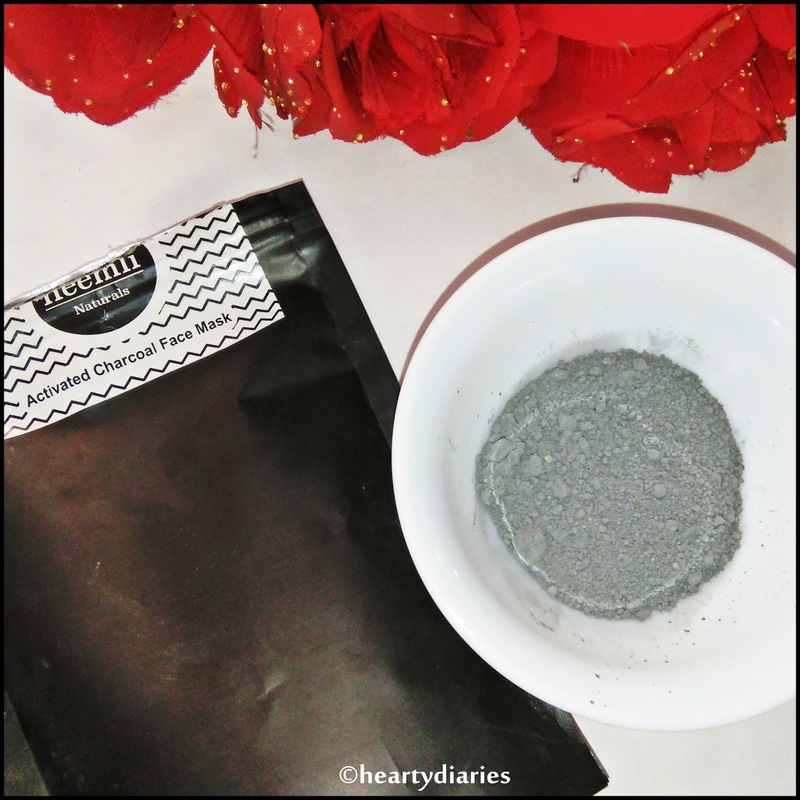 This mask also has Bentonite clay in it which is used to attract, trap and remove toxins from the body. 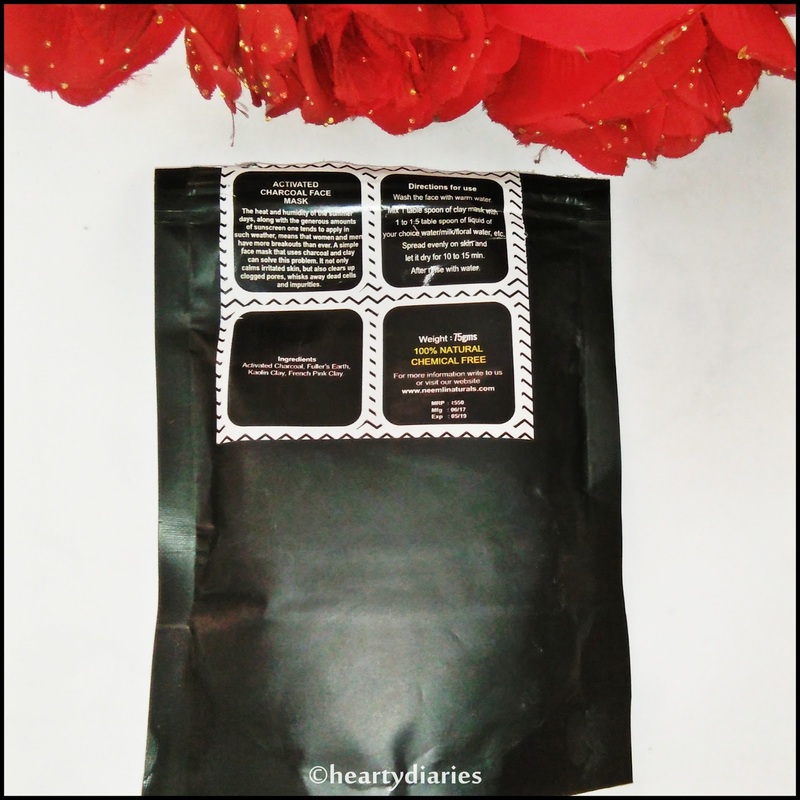 * The amazing benefits of Charcoal are not unknown and I had really high expectations from this product because Neemli Naturals is a renowned and much loved brand.. Please keep on reading this review till the end to know my experience, thoughts and final opinion about this product.. But before that, please take a minute out of your valuable life to write a “testimonial” or “comment” for me using your Facebook account here as I really need it to win The Indian Blogger Awards 2017.. Product Description: The heat and humidity of the summer days, along with the generous amounts of sunscreen one tends to apply in such weather, means that women and men have more breakouts than ever. 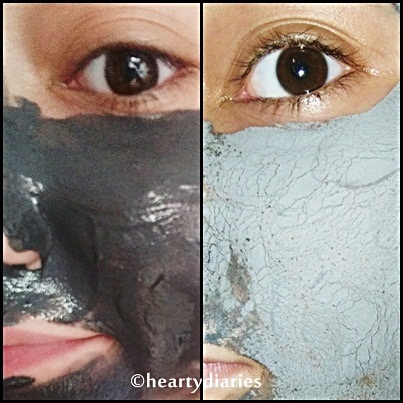 A simple face mask that uses charcoal and clay can solve this problem. It not only calms irritated skin, but also clears up clogged pores, whisks away dead cells and impurities. Directions for Use: Wash the face with warm water. Mix one table spoon of clay mask with 1 to 1.5 table spoon of liquid of your choice: water/milk/floral water etc. Spread evenly on skin and let it dry for 10-15 minutes. After that, rinse with water. Charcoal & Bentonite Clay carries a strong negative charge which bonds to the positive charge in many toxins and pulls out all the dirt. Packaging: This mask is actually a powder which needs to be mixed with any liquid in order to make a paste. 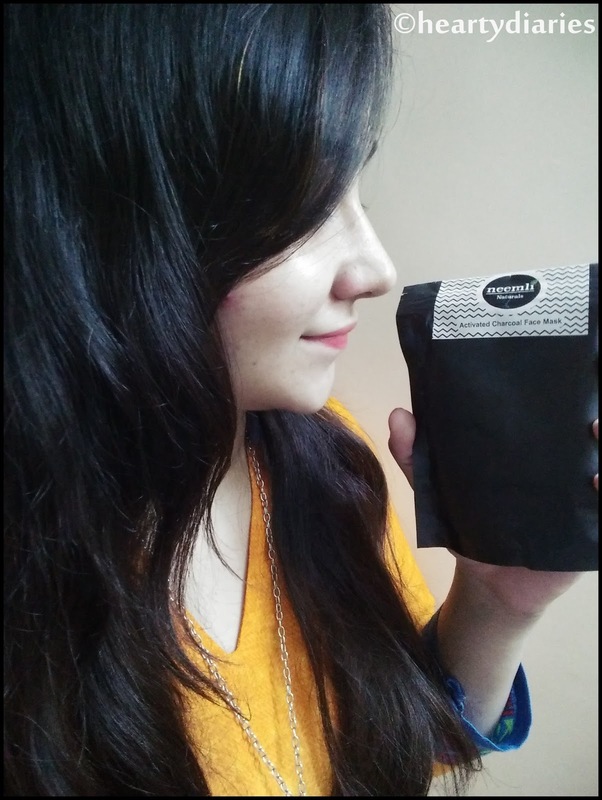 It comes in a black, matte-plastic pouch which is zip locked and properly sealed to keep the powder from getting soggy. The powder as it should be, is grey in color. As you guys know I love face masks, I tried it out on the very first day of receiving it. First, I washed my face with normal water to remove any impurities and layer of dirt and oil exisitng. I then took one table spoon of this mask in a glass bowl and added 1.5 table spoon water in it. Since I have oily skin, I went ahead with water but if you have dry skin, you should go with milk or any essential oil. I mixed it up really well using a small rubber spatula to form a lump-free paste and let it sit for one minute so that the ingredients can be mixed properly and get activated. 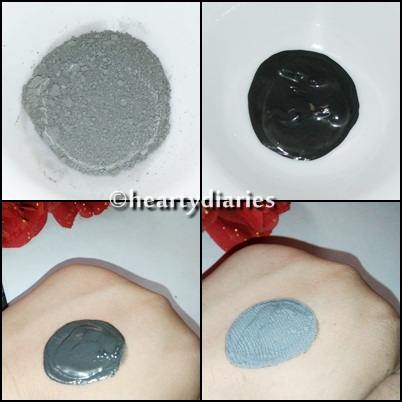 Once the mask was mixed, I applied an even layer of the mask on my face and neck. When the mask was completely dried after around 15 minutes, it cracked up and looked just like fuller’s earth face mask. I washed it off with normal water and my skin felt smooth. I felt no good action except for the fact that it controlled oil secretion for upto 2 hours. Well, I don’t believe in instant or overnight results and reapplied this mask at regular intervals. I have been using it for quite long now but I can’t really see any good or notable results. It just makes the skin little bright after wash but it comes back to its normal state within few hours and doesn’t even make the skin look radiant or glowy. I can only notice the oil control factor which is a plus point for acne skin people like me but may be a negative factor for people with dry skin. It works well on removing tan but I cannot find any wow-factor or an amazing result to die for after using it regularly. No. Since I am unable to find a good result, I will not repurchase it and would go with some other brand. No. I don’t think it has anything worth praising or recommending. Not for me. It is pricey and doesn’t work as I believe activated charcoal should do, so it is not worth the money. My Advice: Always make this mask in a glass bowl using a glass/rubber spatula because it corrodes steel bowls and spoons. Keep the consistency similar to that of a foundation, neither too thin nor too thick. Final Verdict: This product failed to impress me and didn’t work that great for me. Overall, I am not extremely happy with its results keeping the claims and price point in mind. I find no wow-factor in it but that doesn’t mean it may not work for you too. Nice and honest review. Activated charcoal is over-hyped nowadays I feel. I mean there are lot other natural ingredients which work more effectively than charcoal. Just my opinion.. Yes, even I feel so. We are in an era where things get trending extremely fast… My opinion is also same as yours.. It is definitely over hyped!